My husband Jack’s favorite animal is the penguin. As software developer, the penguin is more than an animal it is also the symbol of Linux, a computer operating system. During his business trips in the USA, he always brought me some fabric, which I really appreciated. That’s why I decided to make him a special quilt, to decorate his office. “With love from Linux” started with cutting a number of triangles to make hexagons. 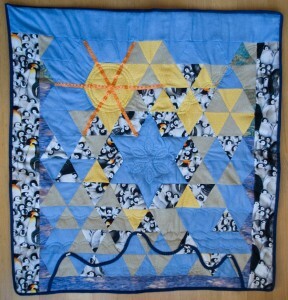 I had never had done this before, but ordering the triangles was really fun, and ended in a sort of icy landscape, populated with penguins. The blue Star of David in the middle originated of it’s own accord, obviously showing my Jewish roots (according to my Mother). 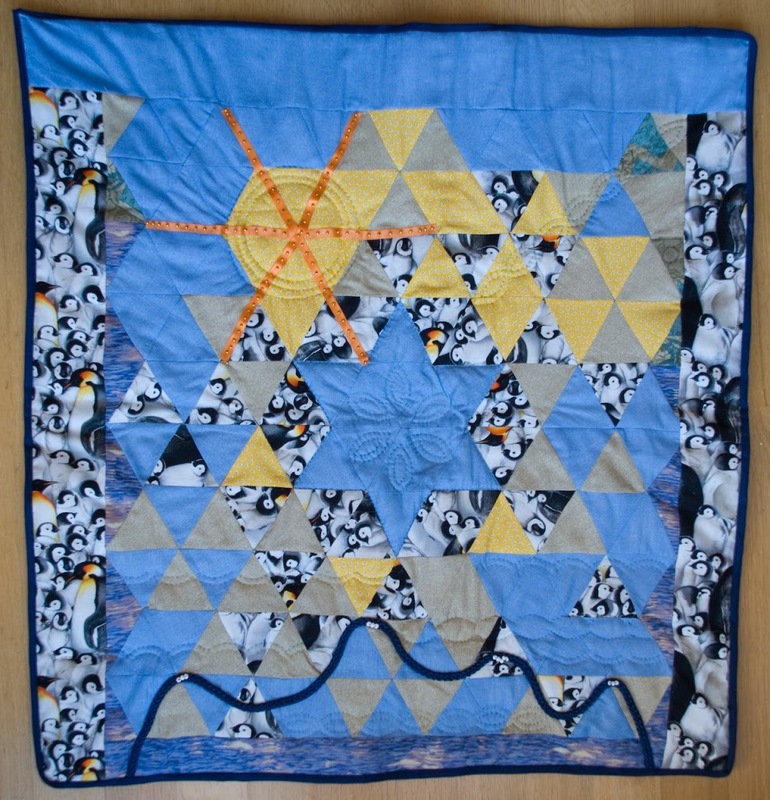 I love the quilt, and every time I see it, it makes me smile.